A citation identifies for the reader the original source for an idea, information, or image that is referred to in a work. In the body of a paper, the in-text citation acknowledges the source of information used. At the end of a paper, the citations are compiled on a References or Works Cited list. 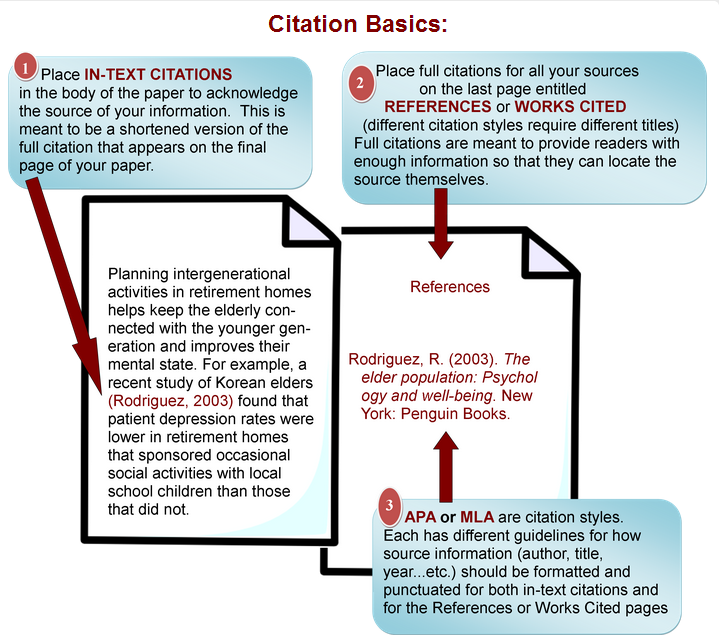 A basic citation includes the author, title, and publication information of the source. Are you quoting two or more consecutive words from a source? Then the original source should be cited and the words or phrase placed in quotes. If an idea or information comes from another source, even if you put it in your own words, you still need to credit the source. You do not need to cite material which is accepted common knowledge. If in doubt whether your information is common knowledge or not, cite it. We usually think of books and articles. However, if you use material from web sites, films, music, graphs, tables, etc. you'll also need to cite these as well. ​Plagiarism is presenting the words or ideas of someone else as your own without proper acknowledgment of the source. When you work on a research paper and use supporting material from works by others, it's okay to quote people and use their ideas, but you do need to correctly credit them. Even when you summarize or paraphrase information found in books, articles, or Web pages, you must acknowledge the original author. Need to create an annotated bibliography? 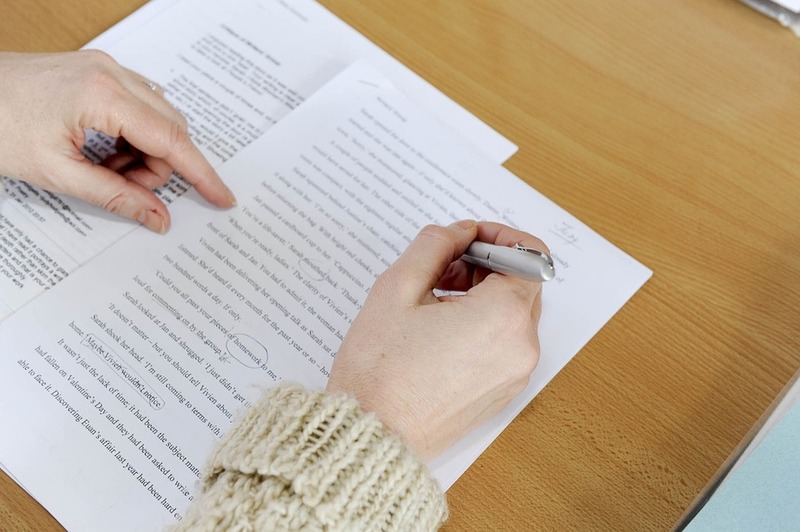 See our detailed "Write an Annotated Bibliography" guide. Zotero - is free application supported at UCSC that collects, manages, and cites research sources.